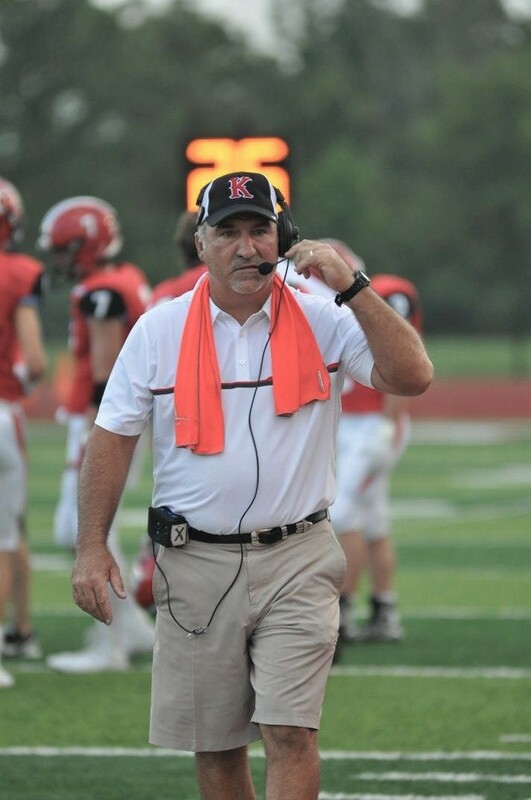 Kings Head Varsity Football Coach, Andy Olds announced his retirement from the Head Football Coach position on Tuesday, November 20, 2019. Coach Olds held the head spot at Kings for 21 years. Over the last 21 seasons, he led the Knights to over 170 wins, 14 state playoff appearances, 10 FAVC conference titles, and 3 Eastern Cincinnati Conference Titles. Coach Olds has spent the last 34 seasons coaching High School Football. “I would like to thank my family, coaching staff, players, and the Kings Community for their support over the last two decades,” said Andy Olds. “We are proud of the work we’ve done to grow Kings Football and develop our student-athletes on and off the field of play. I am looking forward to my next chapter and excited for the years ahead for Kings Football,” he said. The Kings Knights finished their 2018 season at 9-2 and captured their third Eastern Cincinnati Conference championship, their first since 2015. They were the number two seed in the OHSAA Playoffs, Region 8. The Knights placed several on All-Conference and All-District Teams and Coach Olds was named the ECC Coach of the Year. Miller will be working swiftly to name a replacement. He said, "We want to ensure that we conduct a thorough search and process." He hopes to have a new head coach by January. The Athletic Department will host a "Meet the Coach Night" when a new head coach is in place. Click here to read Coach Olds' thank you to the community.